Over time, the quality of your home can deteriorate from normal wear and tear. If you don’t pay close attention to the small details in your home, they may add up to become a much larger project than it needed to be. It is best to tackle these projects as they come. Before you get started, it is important for you to choose the new color you want for your home. You can either stick with the same color scheme or go for a completely new color. If you are thinking about going with a new color palette, you’ll have to consider how well it goes with the current color of your roof, driveway and chimney. This will prevent you from having to repaint your house or the existing surfaces. Another thing you have to consider is your home’s landscape. Make sure that when you’re picking out the right color to repaint your home, it will not clash with the color of your landscape. Instead, pick out a color that best complements them. If you live in a neighborhood where all the houses have the same color scheme, it would be best to consult with your Homeowner’s Association before you change your home’s exterior colors. If you don’t, you may face costly penalties for changing the color. If this is not an issue in your neighborhood, then you can go ahead with your plans. If you’re having your home repainted for a special event, you’ll need to follow a schedule so that the project will be completed on time. Additionally, you should consider other factors like the time of year and weather before you set a deadline. By having a concrete deadline, you can plan for any problem and you’ll have the peace of mind that it will be done on time. 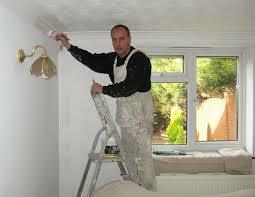 The best way you can get your home repainting done quickly is to have everything you need ready before you even start. Even if it’s not you doing the repainting, you can help the professional you hire do a quick job since they can avoid any circumstances where they lack paint or doesn’t have any primer yet. By preparing beforehand, you can get the job done quickly. Follow the aforementioned tips to help you with your next painting project. These tips will help make the process easier and more enjoyable, whether you’re doing the work yourself or hiring a professional. Written by Mike Wolfe of Mike Wolfe Construction. Mike and his crew offer the best service for home improvement in Columbia,MO has to offer!